Two of the higher-profile contenders in the Conservative leadership race suggest that if they become prime minister, they'll run roughshod over Canada's division of powers and bully provinces and cities into bending to their will. Makes sense – it's not like the idea that Liberal governments under Pierre Trudeau and Jean Chretien centralized too much power in Ottawa figured prominently in the grievances of Canadian Conservatives over the last several decades or anything. On Thursday, Conservative leadership candidate Kevin O'Leary told a town hall event in Calgary that if Alberta doesn't drop carbon pricing, he's prepared to "be nasty." "I will definitely be punitive on transfer payments on health care. I'm going to have to push back. It's going to be nasty. I have to get her back off this carbon tax … I'll go to war with her, trust me." Maybe O'Leary's billionaire buddy Mark Cuban wasn't kidding when he said O'Leary confided to him in private that his prime ministerial ambitions are driven by a desire for "carte blanche" power over Canada. Boy, doesn't that sound like a distant echo of the Conservative Party of Canada we once knew? It feels like only yesterday when a young Stephen Harper and his friends Tom Flanagan, Ted Morton and Ken Boessenkool wrote a letter to Ralph Klein in the National Post saying he needs "to build firewalls around Alberta" to defend the province against a "so-called 'tough love' campaign" by the federal government in Ottawa. "It is imperative to take the initiative, to build firewalls around Alberta, to limit the extent to which an aggressive and hostile federal government can encroach upon legitimate provincial jurisdiction." "In our view, the Chretien government undertook a series of attacks not merely designed to defeat its partisan opponents, but to marginalize Alberta and Albertans within Canada's political system. One well-documented incident was the attack against Alberta's health care system." 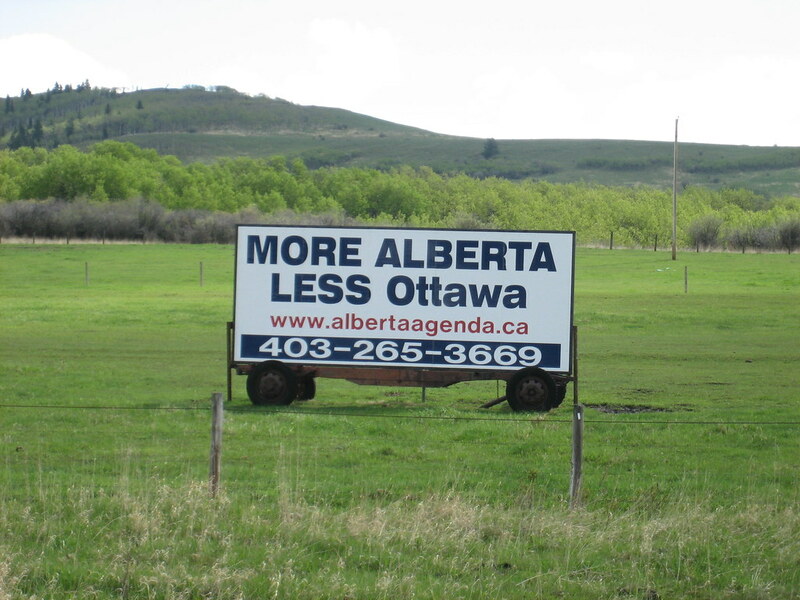 Maybe the Conservative Party of Canada's new slogan will be "More Ottawa, Less Alberta" too?